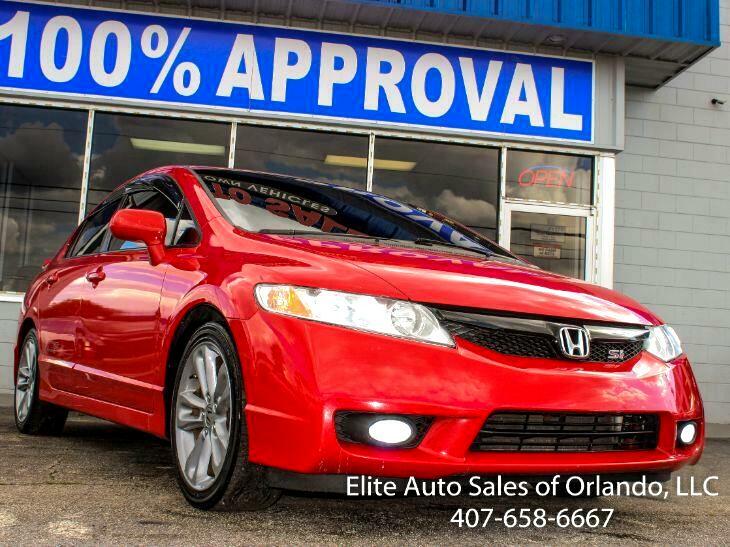 Introducing our 2011 Honda Civic Si Sedan offered in amazing Rallye Red. Motivated by a powerful 2.0 Liter 4 Cylinder that offers 197hp on demand while connected to a fun-to-drive 6 Speed Manual transmission. This Front Wheel Drive sedan achieves an impressive near 29mpg, providing more efficiency and value. Our Civic Si has a playful, yet mature aerodynamic design with sculpted bumpers, rear wing spoiler, fog lights, and alloy wheels, exuding a fresh look that will catch the eye of on-lookers, as it provides nimble, precise handling for drivability that is top in its class. The spacious interior of our Si features textured aluminum pedals, deep-bolstered sport seats with red stitching, power sunroof, remote entry with security system air conditioning, 7-speaker premium audio system with CD, MP3/AUX jack and USB audio interface, steering wheel-mounted audio controls, aluminum shift knob with leather, power windows and locks, power side mirrors, cruise control and a 60/40 split fold-down rear seatback for that larger cargo. Honda is a leader in safety innovation and once again, the engineers behind this car have superior safety in mind with ACE body structure, Vehicle Stability Assist, and multiple airbags. Tried and true, this soulful car is built for fuel economy, safety, and entertaining driving dynamics. What are you waiting for? Print this page and call us Now... We Know You Will Enjoy Your Test Drive Towards Ownership!